Also, make sure to check out the end of sale times for each game next to the respective download link. At the time of writing (January 11th), some of these titles only have a few hours left in their "freebie" period, so it's advisable to download anything that you like fast. Without further ado, let's see what's on the list! Undertones is an interesting new take on the timeless classic Tetris. The premise of the game is simple - instead of the well-known shapes from Tetris, this title only has squares that are of the same size. When you place two squares of the same color on top of each other, you get one that has a darker hue. Get a row of same colored squares and it will disappear, clearing the space for more points and allowing you to continue playing. If your column touches the ceiling, it's game over. Survival games are some of the most popular titles on the market. This isn't too surprising, as the instinct to stay alive is a thing that we all share. 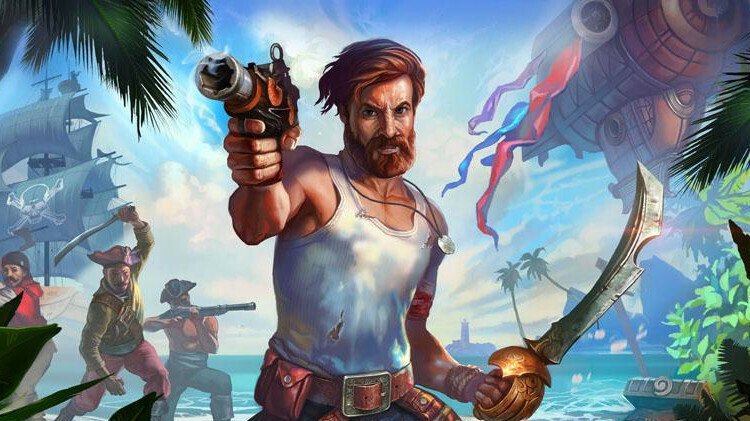 If you've played Minecraft, you'll probably like Survival Island: Evolve Pro. It features some of the core crafting/building mechanics we all know and love, but you also get to hunt, fish, and collect water to ensure your well-being. You have your regular set of beasts to go up against, in addition to dinosaurs and certain weird fairytale creatures. This casual 8-bit title is a mix of Mike Tyson's Punch-out and a Pokemon-like RPG. The gameplay is incredibly simplistic - you choose a class for your character and then you are thrown into an arena, tasked with slaying monsters, one after the other. The evil spawn gets tougher and tougher with each beast slain, and at every 10 levels, you get to fight a boss. The controls are simple - you have one button for attack, and three buttons for dodging. Your enemies have different attack patterns, and you have to make sure to avoid them to have a chance at progressing to the higher levels. Picking the "Novice" class at the beginning is recommended, as the game gives you cues as to where your enemy is planning to attack. After you gather enough points and get a grip of the mechanics, you can try out the other classes. Pro tip: attacking monsters just as they spawn will deal a critical hit. Zombie Avengers:Stickman War Z is a side-scrolling hack and slasher that's quite fun to play. You can choose between many different characters, each with their own unique style of slaying the enemy. Advancing through levels increases your stats, and allows you to collect items and unlock additional heroes. 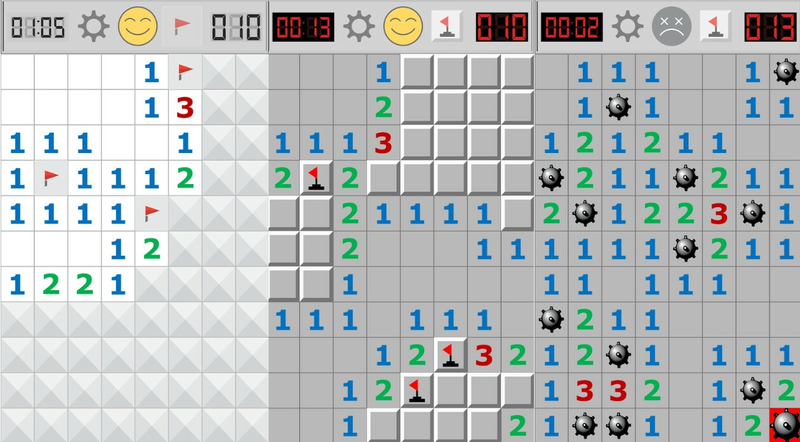 Minesweeper is yet another nostalgia-inducing game that made its way on our list. Due to its Tetris-like popularity, it feels a bit awkward trying to explain the rules of the game. Still, we suspect that some of our younger readers might not be aware of its existence, so let's give it a shot! The objective of Minesweeper is to clear a rectangular board containing hidden "mines" or bombs without uncovering and detonating any of them. If you see a number popping up on a revealed square, the digit is a representation of the number of mines that are present next to this square. A level is finished once all mines are flagged and no uncovered squares are left on the board. Looking for an app to play Truth or Dare with family & friends? Look no further! This app contains a wide variety of enjoyable challenges and an optional bottle for players to spin! 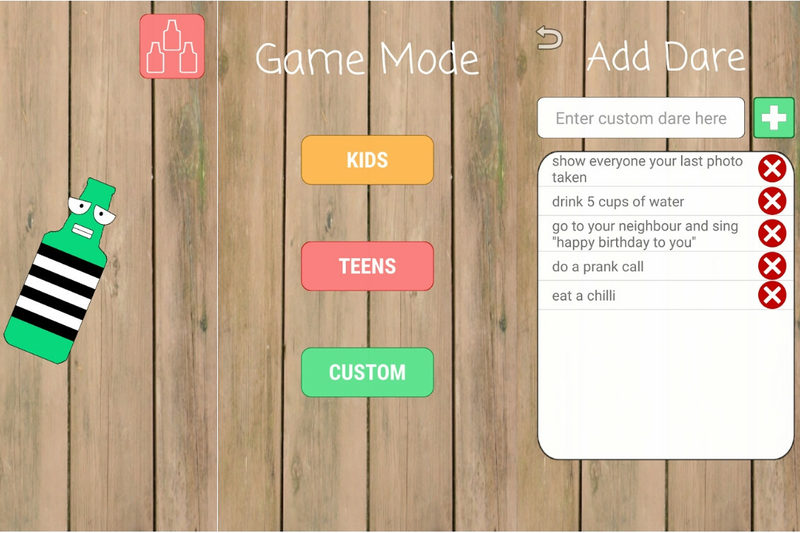 There are 3 different game modes - Kids, Teens, and a Custom one where you can input your own dares. Last Light is an adventure/survival game with some pretty interesting graphics. The story narrative is rather typical - you are one of the last survivors on Earth after a zombie apocalypse has occurred. One day, you find a walkie-talkie and hear the voice of another survivor who begins to guide you to their safehouse. There are more than 28 levels here, and most of these involve locating and grabbing a certain item. Be careful, though, because at night, the zombies come out and you'll have to find a safe place to hide.